Sandusky 3 sloped shelf school book truck offers durable welded steel construction with a colored finish of your choice. Heavy-duty locking casters for smooth mobility. 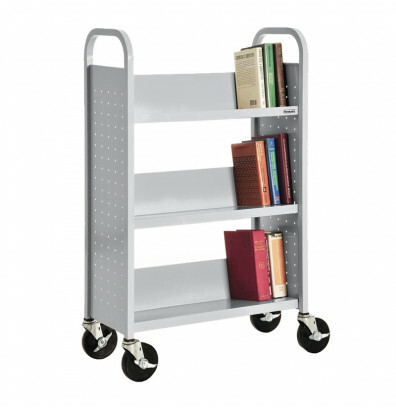 Sandusky 3 sloped shelf school book truck offers lasting durability with steel welded construction. 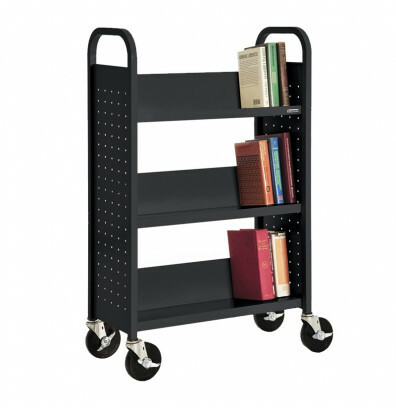 Three sloped shelves offer great storage capacity with 12" shelf clearance. 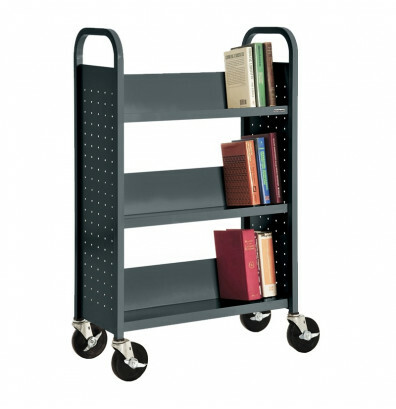 Wheel casters, with locks, make this book truck readily mobile for easy transport. Comes assembled, except for casters. Available in various colors to match any decor.